The Jonas Brothers, Miley Cyrus, Taylor Swift and others have come together for karaoke. A global jukebox blasts world beats for the beautiful game. And all the while, an epic journey to save mankind wails away in another dimension in a game voiced by Jack Black as its lead character. It’s not exactly School of Rock, but instead, a heavy metal roadie adventure and very much what an adventure game should be. 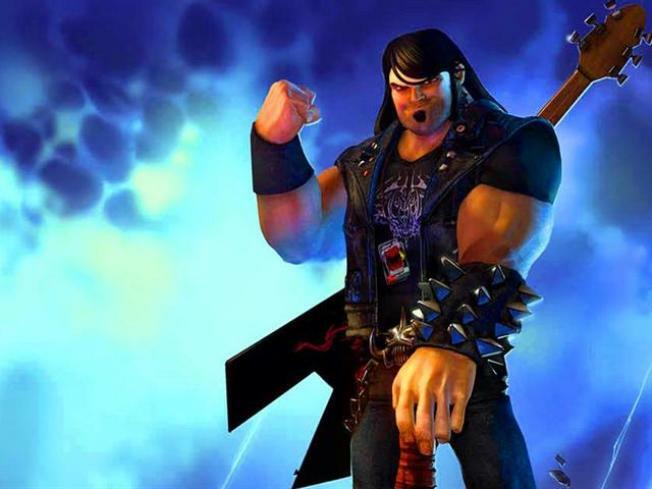 Brutal Legend, created by Tim Schafer and released by Electronic Arts truly rocks. Jack Black is in rare form and his quips as roadie Eddie Riggs are clever in what’s a very imaginative game as he embarks on a journey that requires shredding his way through demons and a dark lord that’s enslaved humanity. The humorous cut scenes and in-game commentary are what make this game truly unique. You don’t have to be a fan of mid-‘70s-to-early-‘80s metal to get a kick out of Brutal Legend, but it doesn’t hurt. For something that speaks more to the Tween demographic, Disney Interactive’s Sing It: Pop Hits for the Wii and PS3 offers a simple concept. Take music videos, add a USB microphone that comes with the game and let folks sing to their hearts content. It’s not a bad idea, except without pitch correction software most people can’t stay true to these manufactured hits, and the USB mic just plain sounds bad. Finally, one of the true joys of video game soccer is the variety of world music built in each year with the FIFA series and this season’s FIFA 10 sounds as great as it looks. But if headers aren’t your thing, you can’t go wrong banging your head with a Brutal Legend.